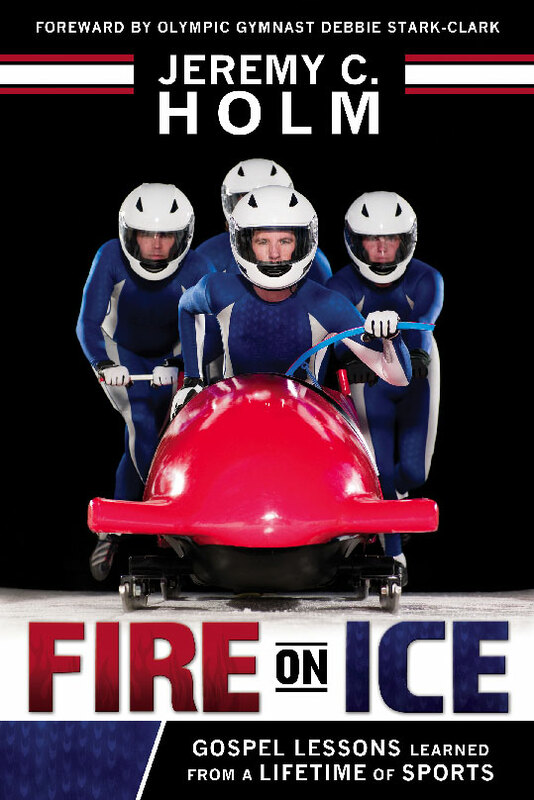 “Fire on Ice” is a journey into the exciting and fast-paced world of bobsled and is the ideal book for sports enthusiasts, especially fans of the Olympics, and who want to deepen their faith. Written for readers age 16 and older, Holm shares his testimony of the Gospel of Jesus Christ through the lens of sport throughout the book. Using lessons learned from over a decade on the ice, the author interweaves personal experiences, insights, scriptural accounts and doctrine to teach the principles of the Gospel. At a deeply candid level, Holm also addresses his personal struggles with depression, anxiety and suicide and discusses how sport, hope, faith and goals helped him overcome these struggles and helped him draw closer to God. 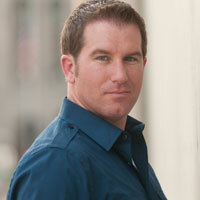 Jeremy C. Holm is a renowned writer, motivational speaker, bobsled athlete and coach, journalist, graphic designer and advertising consultant. Born in Phoenixville, Penn., Holm began in the exciting winter sport of bobsled in January of 1997 on the Park City, Utah, 2002 Winter Olympic track. After that fateful ride down the course, he went on to train and race in both two- and four-man bobsled. 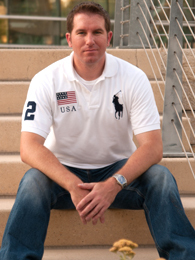 In 2009, he was asked to coach the United States Adaptive Bobsled Team, thus allowing him to develop and coach a program that contained some of the first Paralympic bobsled athletes in the world. Holm is now the Team Captain of Team Phoenix Bobsled, a group of athletes that use bobsled to help others find second chances in life. The basic concept came back in 1998 when I had some powerful spiritual experiences on the ice. Over the years, and during my mission, I started to write down what I had learned about Gospel principles through bobsled. It was a scribble here, a thought there, but eventually I had a long list of topics and relating stories or experiences that I began to flesh out in book format during 2005-2006. The book sat for years until I felt a very strong impression and desire to get it published, so in 2012 I began to rework the manuscript until I felt satisfied and then submitted it to Cedar Fort, Inc. in 2013. I’ve always liked writing. I remember taking a creative writing class way back in like 1991 and the instructors were really impressed with my work. I have had several published writers throughout the years compliment my natural writing abilities and tell me I should pursue it. I used to write these short stories and put my friends in as different characters which they got a kick out of. But it wasn’t until I got back from my mission that I really began to toy around with the idea of becoming a “writer.” The more the ideas came for “Fire on Ice” the more serious I took the possibility that I could do this. I just felt like this book needed to be written. It needed to be written to help share more about my sport, to help others strengthen their testimonies, to help those who may be struggling not feel alone and most of all I felt like it needed to be written to help my fellow singles/midsingles find hope on the path. Salt Lake City was officially awarded the 2002 Olympic Winter Games on June 16, 1995, so to prepare for the Games Utah quickly began constructing the bobsled track in Park City. Our sport’s national governing body, the U.S. Bobsled and Skeleton Federation, sent a coach to Utah to begin building bobsled and skeleton programs here. 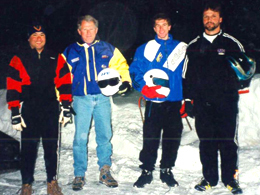 One thing led to another and my dad’s company got involved as a sponsor for the upcoming 1998 U.S. Olympic Bobsled Team. Through the sponsorship Dad was offered a free four-man bobsled ride and he invited me to go with him. I took that first ride on January 25, 1997 and haven’t looked back since. Basically if you take your favorite roller coaster and mash it with an F-22 Raptor flight, plus throw in what the astronauts feel on take-off, that is a bobsled ride. It is a thrilling, beautiful, eye-opening experience. It’s hard to describe the rush from the acceleration itself, but as a sled pilot there is nothing like guiding a sled down the track at full speed, feeling the turns whip you around as you transition smoothly from one point to the next. 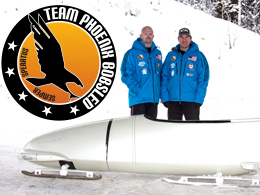 Actually we do, our current sled is nicknamed The Phoenix after the mythical bird that rose from the ashes. We chose this name because as a team we are committed to spreading hope and showing others that you can always rise from the ashes of failure and defeat.